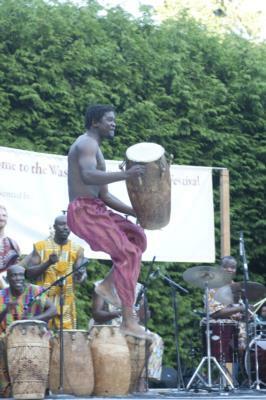 Okropong ("eagle") performs traditional Ghanaian dance and music chosen from the various ethnic cultures in Ghana, including Ga, Ewe, Ashanti, Dagomba and Dagarti. 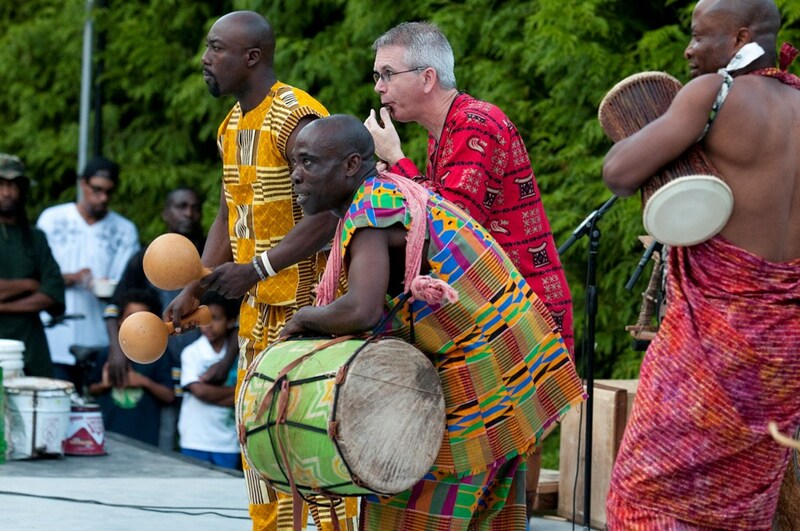 Using a variety of hand and stick drums, talking drums, bells and shakers, the musicians build layers of driving rhythms while the dancers engage in an energetic physical "conversation" with the drummers. 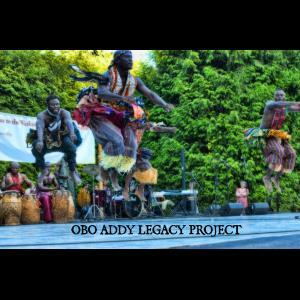 The music is based around the teachings of the legendary Obo Addy. This show can provide your audiences with a compelling introduction to world music. Upon request, we also provide special guest performances from our musical stage production "DiaTribe: From The Village To The Streets", an educational journey chronicling the revelation of Obo Addy witnessing an acrobatic physical expression of dance at five years old in Accra, Ghana. A style of dance today known in hip hop culture as "breaking". DiaTribe was a production in the annual Summer Concert Series at Washington Park in 2013. Please note Okropong will also travel to Beaverton, Vancouver, Lake Oswego, Tigard, Marylhurst, Clackamas, Aloha, Fairview, Gladstone, Gresham, West Linn, Camas, Troutdale, Tualatin, Hillsboro, Oregon City, Brush Prairie, Boring, Sherwood, Saint John, Wilsonville, Heisson, North Plains, Ridgefield, Washougal, Battle Ground, Corbett, Canby, Cornelius, Scappoose.